Toklat (Robert Davison, Sweden, 1971) The first film I ever saw in a theater, and it was awful. Shots of a bear randomly stitched together. Yes, disappointment starts early. Juggernaut (Richard Lester, UK, 1974) Advertised as an edge-of-your-seat thriller but in reality was all talk and no action. Terrible fare for a 11-year-old. Sorcerer (William Friedkin, USA, 1977) I have never been more excited for a film, nor more disappointed. The poster was the best part. Southern Comfort (Walter Hill, USA, 1981) A bunch of guys wandering around in a swamp. Sounds existential but not. Conan The Barbarian (John Milius, USA, 1982) The prototype for why all comic books fail on the screen. Return of the Jedi (George Lucas, USA, 1983) The only thing worse than an Ewok is a Jar Jar. Legend (Ridley Scott, USA, 1986) Alien, Blade Runner…and then this?!? Aliens (James Cameron, USA, 1986) How to Ruin a Franchise 101. I’ve finished a first draft of my coming-of-age high school script and, in trying to avoid cliches, have often reflected on the best of the genre. By my reckoning, there is a pantheon of five films, all of which have characters, story and dialogue that ring true. 5. Election (Alexander Payne, 1999) 4. 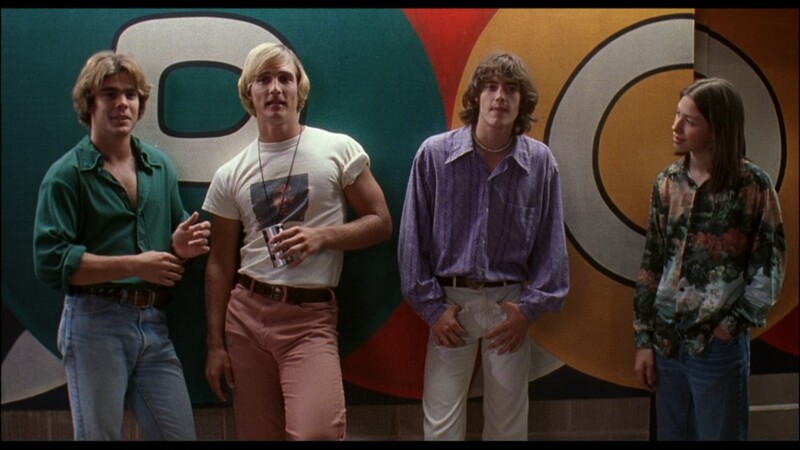 Dazed and Confused (Richard Linklater, 1993) 3. American Graffiti (George Lucas, 1973) 2. Rushmore (Wes Anderson, 1998) 1. Superbad (Greg Mottola, 2007) Interestingly enough, except for Superbad, these films were directed early in each filmmaker’s careers, all of whom went on to be nominated for Oscars. We’ll see what Mottola does next.